Jason Kinsman is a solo-practioner licensed with the Arizona State bar. Practicing law since 2009 he hung his shingle in July of 2017 after practicing as a defense attorney in both Maricopa and Cochise county. His experience as an anti-money laundering analyst and education at Santa Clara University School of Law helps bring an outsiders presence to the executive board. Drew Williams serves as Chief Compliance Officer for Jvapes E-liquid, a nationwide e-liquid manufacturer, wholesaler, and retailer based out of Prescott. He was drawn to vapor advocacy when he realized the potential that vapor technology has to save millions of lives, and has been involved with vapor advocacy organizations in Arizona since being appointed CCO of Jvapes in 2013. Drew's experience in advocacy brings great value in his current role as an Executive Advisor on the ASFA executive board. Dave Morris is the founder and owner of Vape Gravy Brands, an eliquid company based out of Phoenix that produces and distributes many brands including Annihilation Vapor, Rockstar Eliquids, Sunrise, Heatwave, Harvest, Mosh Pit Vapor, and Embargo. In addition, he serves on the national board of the Smoke Free Alternatives Trade Association (SFATA) in an effort to create sensible federal regulations for the vaping industry, and is the President of Vape A Vet Project, which assists veterans, active duty military personnel and their families as they transition away from cigarettes. Dave currently serves as the Vice Chairman of ASFA, where he focuses on recruiting, retention, and promoting the organization. Steve Johnson is a founder of Glenn Johnson Ventures, an umbrella company to brands such as Big White Bottle, BRV Liquids, and Upside, as well as a partner in LXJ, LLC, a Phoenix based e-liquid co-packaging company. Steve got his start in vape with a small town vape shop in North Dakota, and was the founding partner of the valley's first co-packer. He has been active in local and national advocacy since late 2011 fighting one of the nations first indoor vape bans and wholesale tax plans. Steve currently serves as ASFA's secretary/treasurer, as well as the webmaster and IT support for the organization. Steve was a founding member of the organization under it's prior banner of NAVB. Daney Glenn is the other founder of Glenn Johnson Ventures with her partner Steve Johnson. She manages the day-to-day administration of their multiple brands, as well as interfacing with national advocates on behalf of GJV. Daney has worked as an events coordinator for multiple vape events and conventions in the AZ area, and has utilized her strong leadership and administrative skills for several vape companies over her multiple-year career in vape. 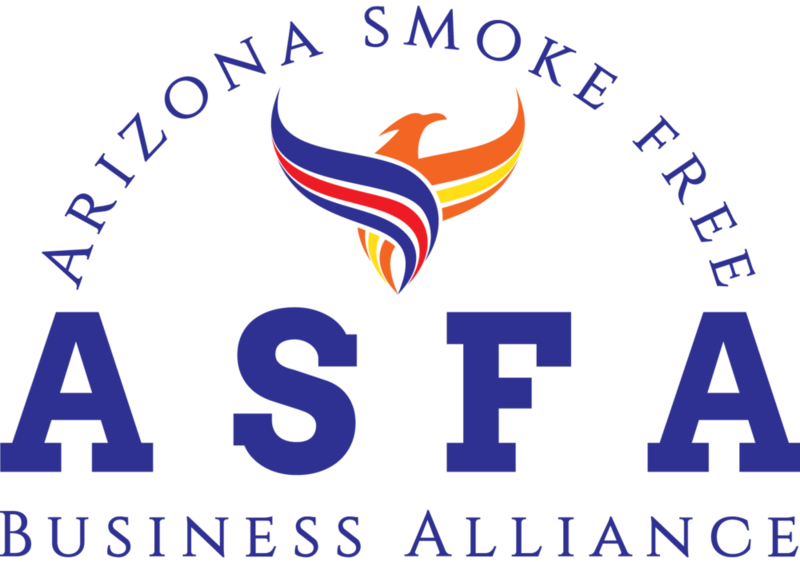 Daney serves as the Executive Director of the ASFA organization, keeping the entire exec board on task and informed, and is our registered designated lobbyist in Arizona. Luis Bermudes is the owner and operator of This Old Vape Shop, one of the valley's most unique retail locations. One of the early shops here in Arizona, he has built a reputation on his stellar customer service and true passion for the industry. Luis has been a part involved in advocacy since the inception of NAVB, actively attending meetings and shaping the direction the board is taking ASFA. Luis speaks when he needs to and serves where he is needed.